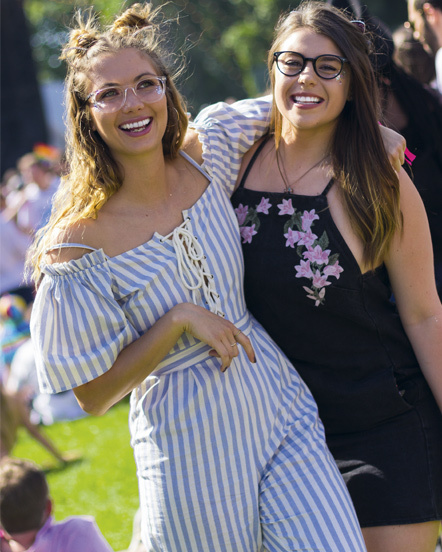 When it comes to fashion, festival season is the perfect time to lose your inhibitions and try a fresh new look – extend that attitude to your glasses with our top summer picks. 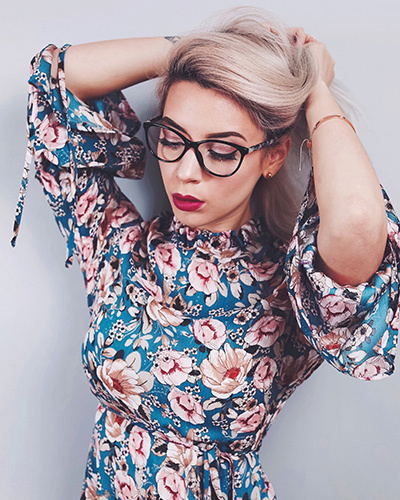 Let your make-up do the talking and team a clear-rimmed pair of glasses with ethereal, iridescent eye glitter – you’ll be able to show off your handiwork and don your favourite specs at the same time. Darker-haired girls look great in hi-gloss, black glasses with silver detailing, which will pick out shimmering metallic make-up. 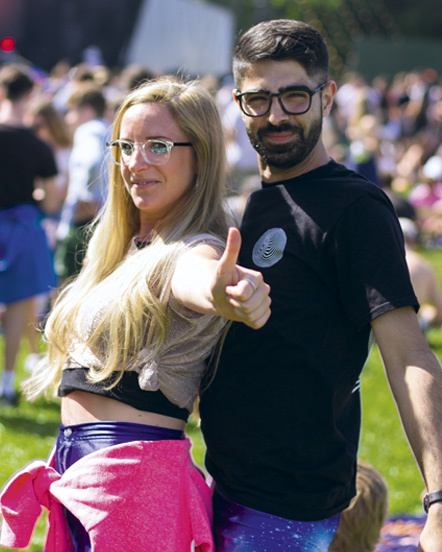 Make a statement this summer and rock a synchronised festival look with your partner or best friend. Choose bright party gear in complimentary neon or metallic tones and pick matching specs shapes to fully coordinate your look. Don’t go too overboard – keep some originality by going for contrasting colours. 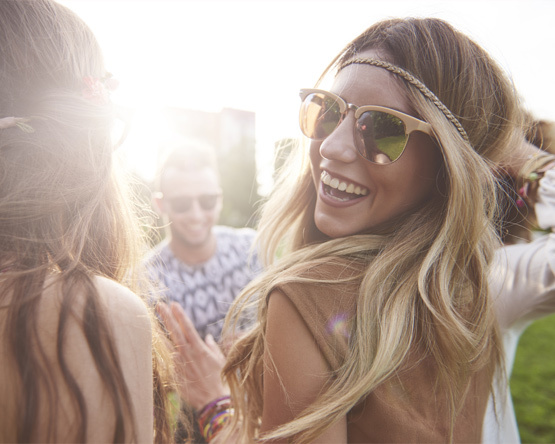 There’s no escaping it this summer: the ‘80s is undergoing a revival. 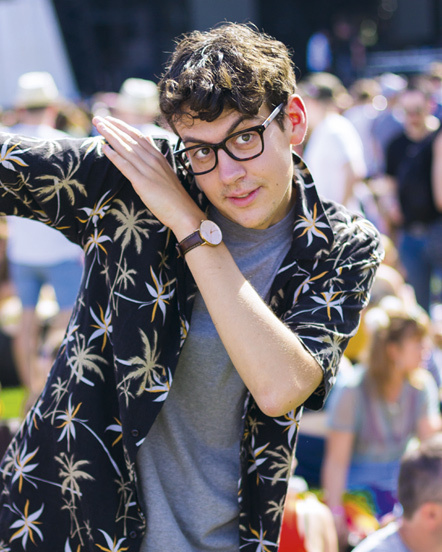 It was the age of Rockstar-style glasses, so whether you opt for a classic round or square version, just make sure you team it with the kind of vibrant Hawaiian-print shirt that defined the era. 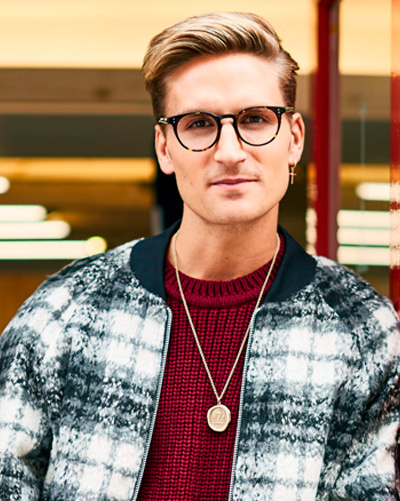 If you’d prefer to avoid the pomp of over-the-top festival-wear this summer, keep your look understated with a simple, classic tortoiseshell round-eye. 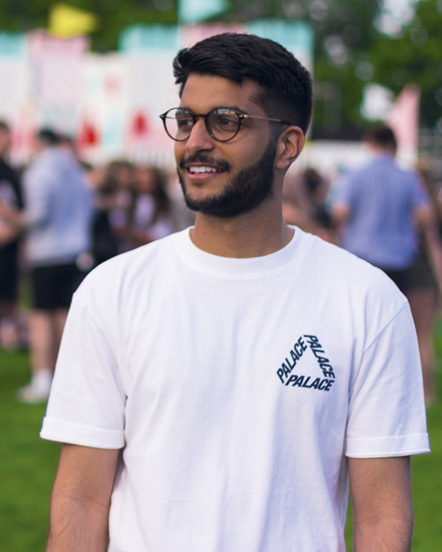 Accessorise with a pair of unassuming grey skinnies and a minimalist white t-shirt with a bold but simple logo design. 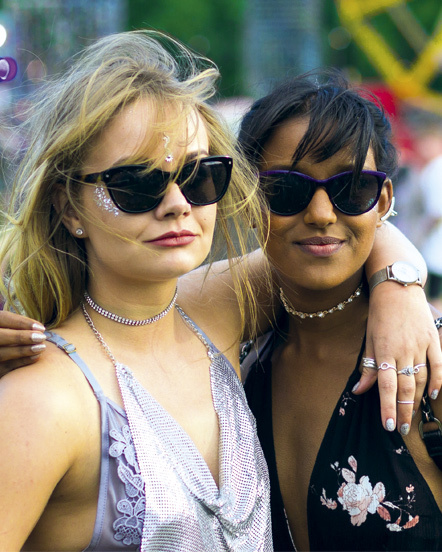 Pray for unrelenting sunshine this festival season, but make sure you keep your sensitive eyes under wraps with a high UVA-filter pair of sunnies. A softer version of the popular cat-eye design in a larger size will give you coverage and protection from the sun as well as ensuring you’re on-trend.